If you haven’t yet heard of the law of attraction (LOA), then this page is especially important for you. Implementing and really understanding the LOA will absolutely change your life, and once you grasp it you will wish you had known about this much sooner. The LOA is probably my favorite thing I have discovered in all my years of self help research, and if you've never heard of it before I hope you'll take the time to figure out what it's all about. It can truly produce some amazing results. The law of attraction states that "like attracts like", which basically means that as you think and feel, you create circumstances in your life which match those thoughts and feelings. Constantly thinking about losing your job? Don't be surprised if you lose your job sooner than later. Are you always looking in the mirror and telling yourself you'll never lose those last ten lbs? Don't be surprised if you reach for a cookie instead of working out next time, and the ten lbs stay in place. If you’re really into the LOA and want to take your understanding and application of it to the next level, then you’ll want to check out Jeannette Maw’s law of attraction community, the Good Vibe University. This is an on-line community for anyone interested in learning more about the law of attraction and consciously using it to create their ideal life. Once you're a member, you get access to hundreds of free articles, teleseminars, coaching sessions by leading-edge coaches, LOA tools and tricks, forums where you will meet tons of other LOA-savvy people, etc. Ever since GVU started back in January, I have been a daily visitor to the site! I actually found Jeannette several years when I worked with her as a coach, and have been following her ever since. She is *definitely* a superstar when it comes to explaining and applying the LOA to get real results in your life! To get your two-week trial for only $1, go here. Be sure to check out my page on Pray Rain Journaling, a method I learned from Jeannette which really brings the LOA to life! Denise Coates is another great LOA coach that you’ll want to get acquainted with. I have not personally worked with Denise, but I am very familiar with her teachings and they are truly first-rate. She has a website that is fun and interactive, and you will want to read it, study it, memorize it, and do anything you possibly can to really absorb her teachings. Denise really gets the law of attraction on a cellular level and her teachings bring it to life. Be sure to check out the forums on her website, where you can play tons of manifestation games and act “as if” all of your dreams have come true. Not only is this so much FUN, but it also speeds up the manifestion process a hundredfold. 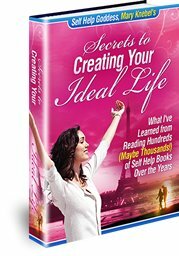 Denise also offers a ton of products on her site that can really help you bring your dreams to reality. One of my favorites is The Feel It Real Interactive Coaching Program. This is a year-long program in which you watch a short video (3-minutes or so) every day of Denise explaining an important concept of the law of attraction. She then leads you through a process whereby you visualize yourself as already having that which you want to create in your life... very powerful! If you're looking for something where you actually apply the LOA rather than just reading about it, you'll want to check this out and see if it's for you.